Cove Park’s residencies can transform the work of the artists taking part, making possible ambitious and innovative new projects to share with national and international audiences. Those with established careers value enormously the time to focus exclusively upon their own work and to exchange ideas and experiences with peers from around the world; our programme of early-career residencies works with artists at a crucial time in the development of their practices, providing financial and professional support and opening the door to new opportunities. Hands-On connects the work of our artists with our local community and beyond, providing opportunities for those with relatively limited access to world-class contemporary art and artists. Cove Park is a charity and our work would not be possible without the support of public funders, trusts, foundations and individuals. 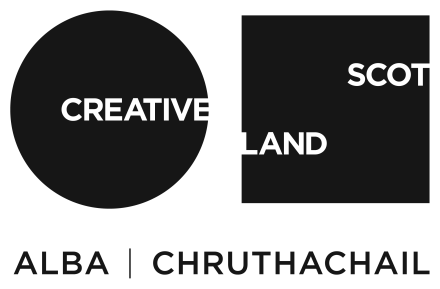 Cove Park is one of Creative Scotland’s portfolio of Regularly Funded Organisations. The financial support this brings meets the costs of approximately 50% of Cove Park’s programme of funded and subsidised residencies and related professional development events. Income generated through collaborative projects and independently funded residencies, and money raised from trusts, foundations and other public funders, is therefore essential. Purchase limited edition prints and artworks by artists including Claire Barclay, Christine Borland, Graham Fagen and Simon Starling. Cove Park's Funders and Supporters.